The MSSC displayed the Apollo 10 hatch, without much of its hardware. Apollo 10 itself is in the Science Museum in London, England (and that's the reason I can only claim to have seen all of the manned command modules in North America). After the Michigan Space and Science Center closed in 2003, the Air Zoo inherited this hatch along with the bulk of the MSSC's other artifacts. For several years, the Air Zoo lacked sufficient funds to display most of these inherited artifacts (and still has a number of them in off-display storage). The Smithsonian told the Air Zoo to either display the hatch or return it; the Air Zoo opted to return it, informing the Smithsonian that they'd built a custom shipping crate and asking for shipping details. The Smithsonian declined to respond, and so the hatch was still in a shipping crate the last I knew. I contacted someone at London's Science Museum, informing them that the hatch would likely be available should they wish to display it along with Apollo 10, but I don't believe anything ever became of it. I've dug up a photo of the Apollo 10 hatch when it was still attached to the CM and still had all of its hardware. This hatch is NASM catalog #A19781415000. 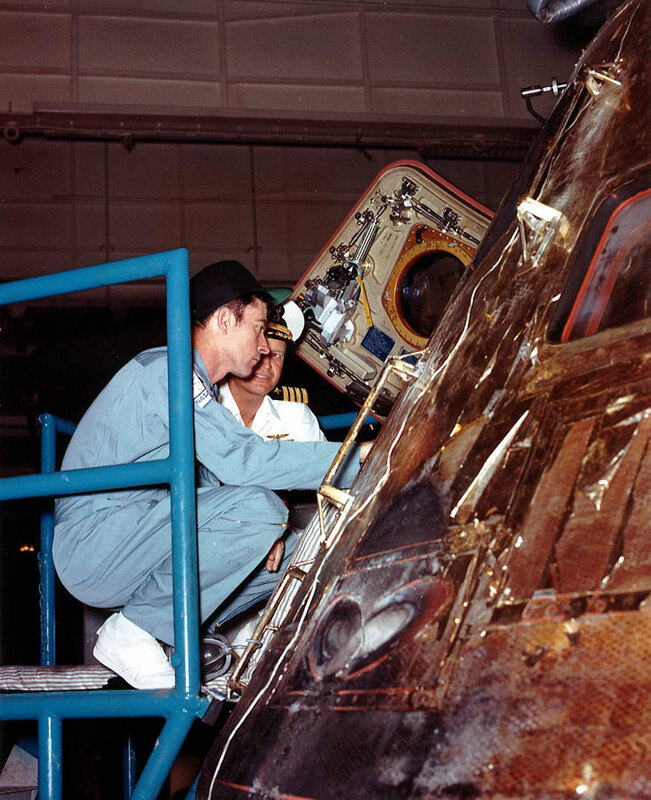 I also have a page with additional information about the Apollo unified hatch.